1. The new concordance model in agreement with observations: ΛWDM (Lambda-dark energy- Warm Dark Matter). Recently, Warm (keV scale) Dark Matter emerged impressively over CDM (Cold Dark Matter) as the leading Dark Matter candidate. Astronomical evidence that Cold Dark Matter (LambdaCDM) and its proposed tailored baryonic cures do not work at galactic and small scales is staggering. LambdaWDM solves naturally the problems of LambdaCDM and agrees remarkably well with the observations at galactic and small scales as well as large and cosmological scales. In contrast, LambdaCDM simulations only agree with observations at large scales. 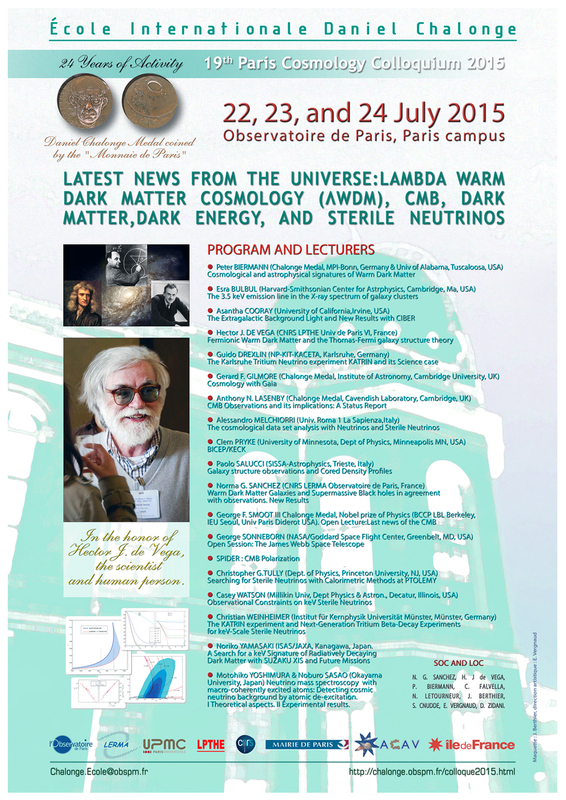 In the context of this new Dark Matter situation, which implies novelties in the astrophysical, cosmological, particle and nuclear physics context, the 19th Paris Colloquium 2015 is devoted to the Latest News from the Universe. 2. This Colloquium is within the astrofundamental physics spirit of the Chalonge School, focalised on recent observational and theoretical progress in the CMB, dark matter, dark energy, the new WDM framework to galaxy formation, and the effective theory of the early universe inflation with predictive power in the context of the LambdaWDM Standard Model of the Universe. The Colloquium addresses as well the theory and experimental search for the WDM particle physics candidates (keV sterile neutrinos). Astrophysical constraints put the sterile neutrino mass m in the range 1< m <10 keV. A.The fermionic quantum pressure of WDM ensures the observed small scale structures as the cores of galaxies and their right sizes (including the dwarf galaxies). N-Body simulations in classical (non-quantum) physics do not take into account the fermionic quantum pressure of WDM and produce unreliable results at small scales : that is the reason of the too small core size problem in classical (non-quantum) N-Body WDM simulations and its similar dwarf galaxies problem. B.Two observed quantities crucially constrain the DM nature in an inescapable way independently of the particle physics model: the average DM density rho and the phase space density Q. 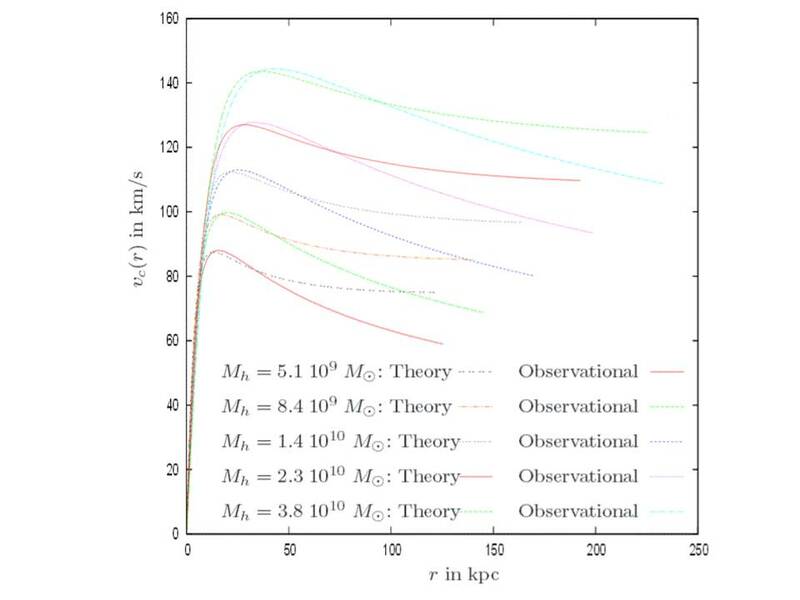 The observed values of rho and Q in galaxies today robustly point to a keV scale DM particle (WDM) and exclude CDM as well as axion Bose-Einstein condensate DM. C.Lyman alpha bounds on the WDM particle mass apply only to specific sterile neutrino models and many sterile neutrino models are available today for which the Lyman alpha bounds are unknown. Therefore, WDM cannot be disfavoured in general on the grounds of the Lyman alpha bounds (only valid or specific models), as erroneously stated and propagated in the literature. Astrophysical constraints put the sterile neutrino mass m in the range 1< m <10 keV. Most of the constraints and last results points to m about 2 keV or nearly larger. For a dark matter particle decoupling at thermal equilibrium (thermal relic), all evidences point out to a 2 keV particle. Remarkably enough, sterile neutrinos decouple out of thermal equilibrium with a primordial power spectrum similar to a 2 keV thermal relic when the sterile neutrino mass is about 7 keV, and therefore, WDM can be formed by 7 keV sterile neutrinos. MARE, KATRIN, ECHO and PTOLEMY experiments could detect such a keV sterile neutrino. It will be a fantastic discovery to detect dark matter in a beta decay or in electron capture. A exciting WDM work to perform is ahead of us. 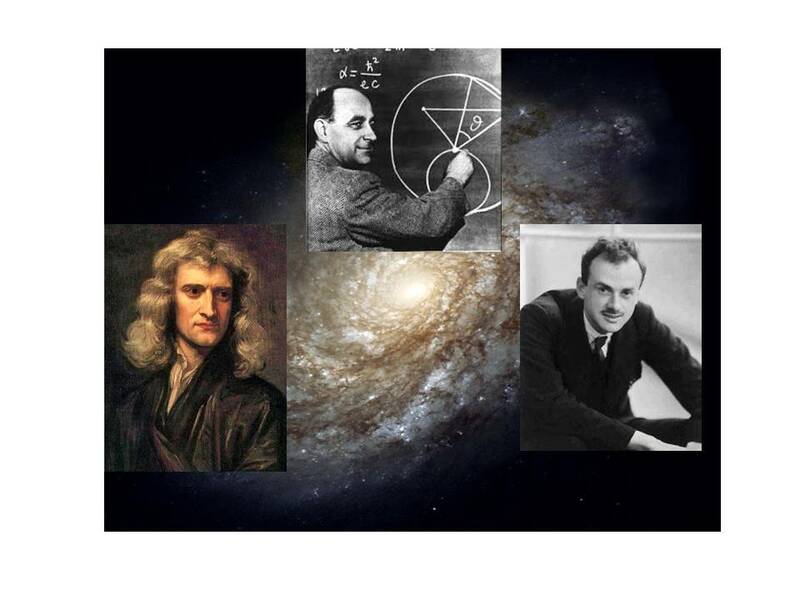 In summary, the aim of the meeting is to put together real data : cosmological, astrophysical, particle, nuclear physics data, and hard theory predictive approach connected to them in the framework of the LambdaWDM Standard Model of the Universe. 3. The New Context today, the CDM crisis and WIMP crisis and their decline: On large cosmological scales, CDM agrees in general with observations but CDM does not agree with observations on galaxy scales and small scales. Over most of twenty five years, increasing number of cyclic arguments and ad-hoc mechanisms or recipes (so called "baryonic solutions") were-and continue to be- introduced in the CDM galaxy scale simulations, in trying to deal with the CDM small scale crisis: Cusped profiles and overabundance of substructures are predicted by CDM. Too many satellites are predicted by CDM simulations while cored profiles and no such overabundant substructures are seen by astronomical observations. Galaxy formation and evolution within CDM + baryonic models is increasingly confusing and and are plagued with always increasing tailoring, fine tuning and recipes. On the CDM WIMP particle physics side, the situation is no less critical: So far, all the different and dedicated experimental searches after most of twenty five years to find the theoretically proposed CDM particle candidate (WIMP) have repeatedly failed. The CDM indirect searches (invoking CDM annihilation) to explain cosmic ray positron excesses, are in crisis as well, as wimp annihilation models are plagued with growing tailoring or fine tuning, and in any case, such cosmic rays excesses are well explained and reproduced by natural astrophysical process and sources. The so-called and continuously invoked 'wimp miracle' is nothing but being able to solve one equation with three unknowns (mass, decoupling temperature, and annihilation cross section) within the wimp models theoretically motivated by SUSY model building twenty five years ago (at that time those models were fashionable and believed for many proposals which is not anymore the case). After more than twenty five years, and as often in big-sized science, CDM research (CDM+ baryon simulations, direct and indirect WIMP experimental research and model building),has by now its own internal inertia and own organized community, without reproducing the astronomical observations and failing to provide any experimental signal of wimps (except signals compatible with experimental noise). Growing CDM + baryon galactic simulations involve ever increasing large super-computers and large number of people working with, CDM particle wimp search involved (and involve) large and long-time planned experiments, huge number of people and huge budgets. One should not to be surprised then if a strategic scientific change have not yet operated in the CDM + baryon research and in the wimp research, given the way in which the organization operates, although their real scientific situation is of decline. Wimps are not the DM particle, DM is not Cold because the right DM particle is at the keV scale, DM is Warm. 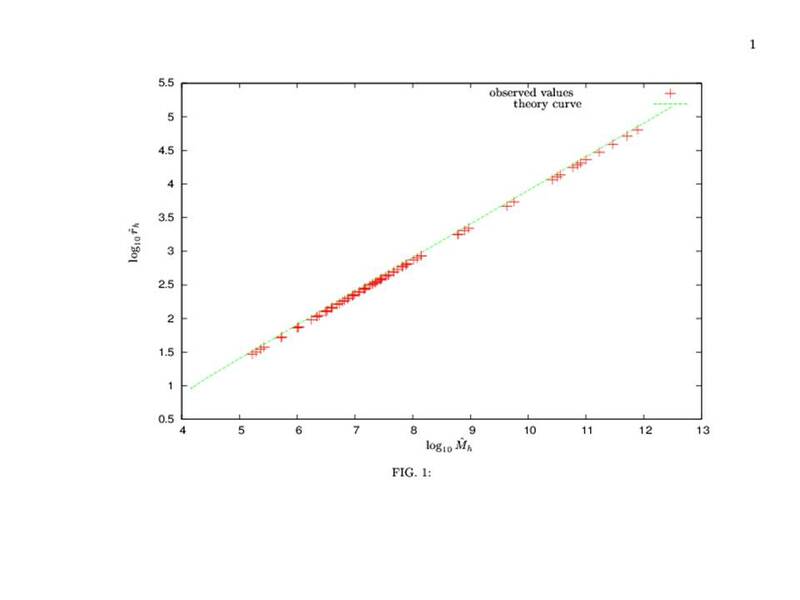 Cored density profiles in agreement with observations. Warm (keV scale) dark matter from theory and observations. The new quantum mechanical framework to galactic structure. WDM core sizes in agreement with observations. Universal and non universal profiles. Cored density profiles with WDM core sizes in agreement with observations. Supermassive Black Holes : Theory and Observations. The clarifing and unifying WDM framework for stars, galaxies and cosmology. Warm (keV scale) dark matter N-body simulations in agreement with observations. Neutrinos in astrophysics and cosmology. The new serious dark matter candidate: Sterile neutrinos at the keV scale. The analysis of the CMB+LSS+SN data with the effective (Ginsburg-Landau) effective theory of inflation: New Inflation (double well inflaton potential) strongly favored by the CMB + LSS + SN data. The presence of the lower bound for the primordial gravitons (non vanishing tensor to scalar ratio r) with the present CMB+LSS+SN data. CMB news and polarization. Forecasts and last CMB data sets and. The new CMB + LSS data analysis including non-zero mass neutrinos and light sterile neutrinos..
Lectures cover from a motivation and pedagogical introduction till the last developments and recent results. This series pursues understanding, synthesis (rather than mixing), a unifying view and a careful interdisciplinarity. In addition, each Colloquium introduces and promotes through special sessions, subjects of high current interest for astrophysics and cosmology. All Lectures are plenary and followed by a discussion. 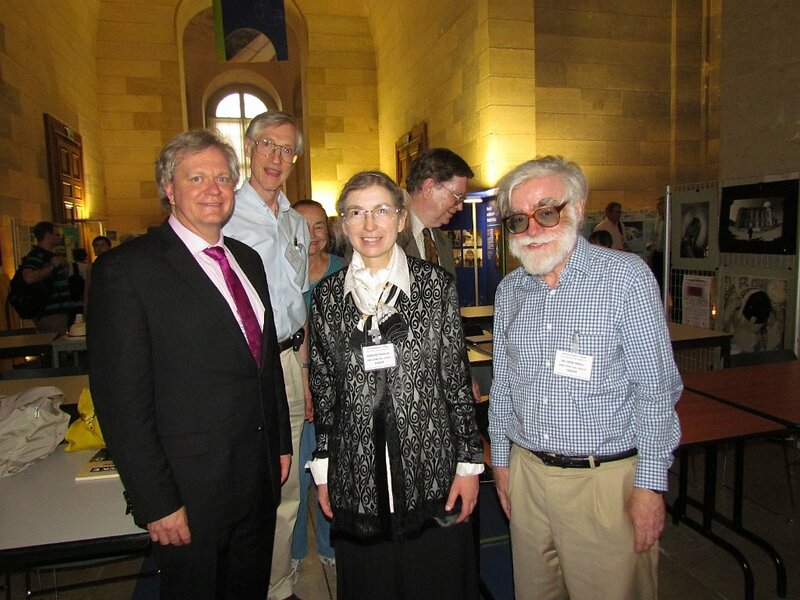 An exhibition at the "Grand Galerie" (Great Gallery) and "Salle Cassini" (Cassini Hall) will retrace the 24 years of activity of the Chalonge School and "the Golden Days" in "Astrofundamental Physics": The Construction of the Standard Model Of the Universe. The World High Altitude Observatories Network: World Cultural and Scientific Heritage. The books and proceedings of the School since its creation, as well as historic Daniel Chalonge material, and Chalonge instruments will be on exhibition at the Great Gallery. Informations on the previous Paris Cosmology Colloquia and of the school events are available at https://chalonge-devega.fr (lecturers, lists of participants, lecture pdf files and photos during the Colloquia). Cosmological and astrophysical signatures of Warm Dark Matter. Numerical Simulations on Structure Formation in Warm Dark Matter Cosmology. Warm Dark Matter Galaxies Theory in agreement with observations. New Results. The Meeting is open to all scientists interested in the subject but Registration is mandatory. The fee is 80 Euros. The registration fee covers the 6 coffee breaks, the tickets for 3 lunchs and the cocktail/reception. [The Lunch tickets you will receive at the Colloquium Registration include for Each Lunch at the Observatory self-restaurant the following six items: Entry/appetizer. Main course. French cheese or green salad. Dessert (cakes or fruits or yoghurt). Drink (wine, beer or mineral water or other soft drinks). Coffee or Tea . For Each item a variety of choices is proposed every day (meat, fish, chicken, vegetarian, with their garnitures). Also, one can skip one item and have instead another item twice]. Certificates of participation and receipts will be delivered by the Secretariat upon request. Participants wishing to attend the Meeting should register in time, and in any case Before 15 June 2015 , by on line registration. An automatic mail of confirmation is sent to you after your on line enregistration. The List of Registered confirmed Participants will be posted in June.Badges for all registered participants in the list will be available at the Registration from Wednesday 22 July 8:10 am. Please wear your badge all during the Colloquium, which will make easy your access and circulation within the campus. We look forward to seeing you in Paris for a creative, fruitful and enjoying meeting. Hotel reservations for the invited Lecturers and accompanying persons will be provided by the Colloquium organizers. Participants should make their reservations by their own. A list of hotels nearby Paris Observatory is provided below. Lectures start on Wednesday 22 July at 9:00 am at “Salle du Cassini”. Tickets for lunch will be on sale at the registration desk from Wednesday morning. We shall stick strictly to the timetible during the whole meeting. All COFFEE-TEA-MATE-BICERIN-CHAMPAGNE BREAKS take place in Salle du Conseil (Council Room) in the Perrault building building. LUNCH is served at the Self-service Restaurant of Observatoire de Paris (located very near, inside the campus at Building B, ground floor). On Friday 24 July, a Buffet will be served for Lunch for all participants and accompanying persons. The PHOTO of the group will be taken on the meridian of Paris in the middle of the monumental south entry of the Perrault building on Thursday 23 July at the end of the afternoon session. A TOUR of Perrault building for all participants and accompanying persons will take place on Friday 24 July in the afternoon from 19:00 to 20:00, guided by Prof Suzanne DEBARBAT around a special subject and an exhibition choosen for the purpose). 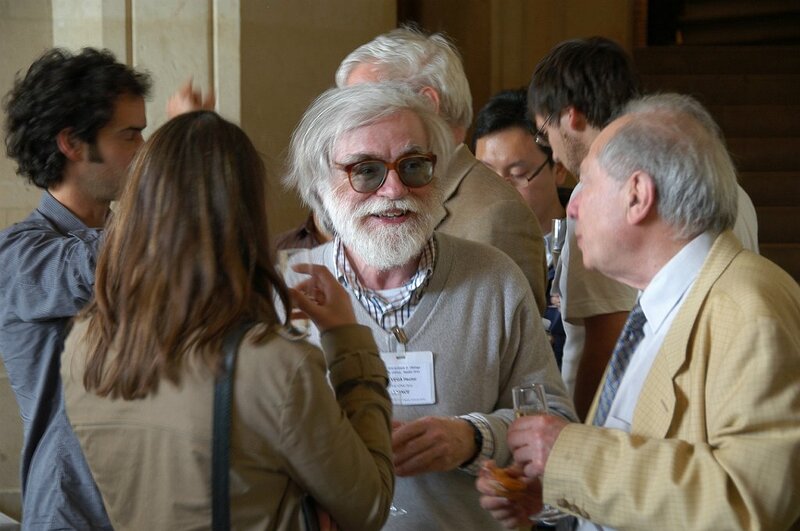 A COCKTAIL/RECEPTION for all participants and accompanying persons will be offered on Friday 24 July in the late afternoon (from 20:00) in “Salle du Conseil” (Council Room) and the terrasse aside (if weather allows it) in Perrault building along the Meridean of Paris. Please Notice: The Colloquium ends after the COCKTAIL/RECEPTION. LOCATION: The entrance of the Observatoire de Paris is at 77, Avenue Denfert-Rochereau, Paris 75014. [Notice that this differs from the postal address: 61, Avenue de l'Observatoire, Paris 75014, although they are nearby]. The nearest metro station is Denfert-Rochereau (100 m. approx). The RER station Port Royal is about the same distance. You can also reach the Observatoire with the buses 38, 91, 83 and Orlybus. From the entry at 77, Avenue Denfert-Rochereau, once inside Observatoire, the "Salle de l'Atelier" is just located at the right, and in front of the new building B (''Bâtiment B"), where the Observatoire self-service restaurant is located. From the entry at 77, Avenue Denfert-Rochereau, once inside Observatoire, to reach Bâtiment Perrault: enter the campus following the straigth road going to the old Coudé building and coupoles (the way one sees new " Bâtiment B ", and old " Ateliers des Artistes ") and continue the road (on the left) till the open central path from which (bordered by the trees), the monumental front south main entry of Perrault building is seen. Lunch will be served at the Observatoire Self-Service Restaurant. It is located in the ground floor of building B ("Bâtiment B"). Tickets for lunch will be on sale at the Conference registration desk from Wednesday morning. The Observatoire Self-Service Restaurant is closed for dinner and on Saturdays /Sundays. On Saturday, it will be a special Buffet for lunch at Cassini Hall, and a Cocktail/Reception at the late afternoon. Some Restaurants near Observatoire are listed below. Double room, with shower, WC and TV. Double room with bathtube, WC and TV. air conditioning, modem in bedrooms. Tel.33 (0).1 4354-7686, fax 33(0).14354-2245. Single room. Double room. With shower, WC and TV in all rooms. Tel.33 (0).1 14320-8242, fax 33(0).14320-9872.
air conditioning, TV and modem in bedrooms. Tel.33 (0). 14327-8020, fax 33(0).14335-3657.
air conditioning, TV and modem in bedrooms. Non-smoking bedrooms. Tel.33 (0). 14320-6294, fax 33(0).14327-3969. Tel.33 (0). 14320-9182, fax 33(0).14322-4845. TV and modem in bedrooms. Tel.33 (0). 14320-3582, fax 33(0).14335-3263. Hotel Floridor, 28, place Denfert-Rochereau, Paris 75014. Single room. Double room. With shower, WC and TV. Breakfast. Hotel des Voyageurs, 22 rue Boulard (near rue Daguerre), Paris 75014. Single room. Double room. Studio. With shower, WC and TV in all rooms. Hotel de l'Espérance, 1, rue Grancey, Paris 75014. (Near place Denfert-Rochereau). Single and double rooms with TV, shower and lavatory. Without shower in the room. Breakfast. 7e Boulevard Jourdan, 75014 PARIS, Metro RER Station: Cité Universitaire. Fundación Argentina in the Cité Universitaire. 19, Boulevard Jourdan, Paris 75014, Metro RER Station Cité Universitaire. La Contre Allée 83, Av. Denfert-Rochereau. Tel. 014354-9986. Open every day of the year for lunch and dinner. Swann & Vincent , 22, pl. Denfert-Rochereau. Tel. 014321-2259. Open till 11.45 pm. aubergines au gratin, sea bream (daurade) fillet with red peppers and vegetables, veal escalope with lemon, panna cotta and tiramisu, à la carte 30 euros. La Closerie des Lilas, 171, boulevard Montparnasse. Tel. 014051-3450. Open everyday till 1 AM. Les Petites Sorcières, 12, rue Liancourt. Tel. 014321-9568. Closed on saturdays and sundays and thursdays for lunch. Terrasse.Parisian bistrot. Recommended dishes: Tartare of Saint-Jacques with asparagus, braised filet of cod (cabillaud), roasted rabbit leg, strawberries gratin. Pleasent atmosphere. Menus: 18 euros (lunch) and à la carte 25 euros. Metro Glaciere or Saint-Jacques Tel. 014313-1700. It is the oldest observatory still serving. In 1665 the physicist and astronomer Auzout convinced Colbert and Louis XIV to construct `l'Observatoire Royale'. It is built without wood (to avoid fire) or metal (to avoid magnetic disturbances). At the summer solstice of 1667, the orientation (north-south) is traced in its place by members of the Académie Royale. Claude Perrault (the architect of the Louvre Colonnade) projected the building and directed its construction. It was finished in 1672. It is a large rectangle (31 m x 29 m) with its four faces oriented with the cardinal points of the compass. The latitude of the south face defines the Paris latitude (48° 50' 11''). The meridian line passing through its center defines the Paris longitude. The foundations are as deep (27 m) as high is the building itself. The Observatoire is in charge of the French legal time: UTC(OP) and of the Central Bureau of the International Earth Rotation Service. In 1933, the first speaking clock in the world started to give the accurate time by telephone (tel. 3699) from the ground floor of the Observatoire. The basement of the Observatoire is connected with the Paris catacombs (visits forbidden). The catacombs consist of 65 km of underground galleries. First, at the head of the Observatoire de Paris was Jean-Dominique Cassini (Cassini I), born in Italy in 1625. He was followed by his son Jacques (Cassini II), his grand-son César-François and his grand-grand-son Jean-Dominique. The Observatoire was later leaded by Joseph Jerôme Lefrançois de Lalande, Pierre-André Méchain, François Arago (1843-1853), Urbain Le Verrier (1854-1870 and 1873-77) and other distinguished personalities. Further illustrious scientists worked at the Observatoire like Jean-Baptiste Delambre, Charles Marie de La Condamine and Pierre Simon de Laplace. One can mention as principals scientific works made in the Observatoire: The map of the Moon by Cassini I that was the best till the photography was invented. The discovery of the gap in the Saturne ring by Cassini I and the table of the satellites of Jupiter movements that allowed the danish astronomer Olaüs Römer to show that the speed of light was finite and compute approximately, for the first time in 1676 while he was working at the Observatoire. Jacques Cassini discovered the proper motion of Arcturus, showing the first that the stars were not fixed. César-François and Jean-Dominique (IV) Cassini made the first modern map of France from 1750 to 1790. The units of mass (gramme) and length (meter) were defined following measurements (along the France meridian) and researches made at the Observatoire. Lavoisier worked here on the mass unit. Arago introduced here the photography in astronomy. In 1845 Hyppolite Fizeau and Léon Foucault obtained the first daguerreotype of the sun. Foucault in 1850-51 showed manifestly the rotation of the earth with his pendulum hanging in the salle Cassini (after a first experiment at his home, and before the demonstration at the Panthéon). The works by Le Verrier lead to the discovery of Neptune. His tables of sun and planets positions were used for more than one century. Discrepancies remarked by him between the calculated and observed orbit of Mercury were only solved with the advent of general relativity. The three main halls in the Observatoire are the `Grande Gallerie' and the `Salle du Conseil' in the ground floor and the Cassini hall in the first floor. In the `Salle du Conseil' are displayed the portraits of Laplace, Le Verrier, Lalande, Arago, Delambre, as well as other distinguished scientists and the one of Louis XIV. 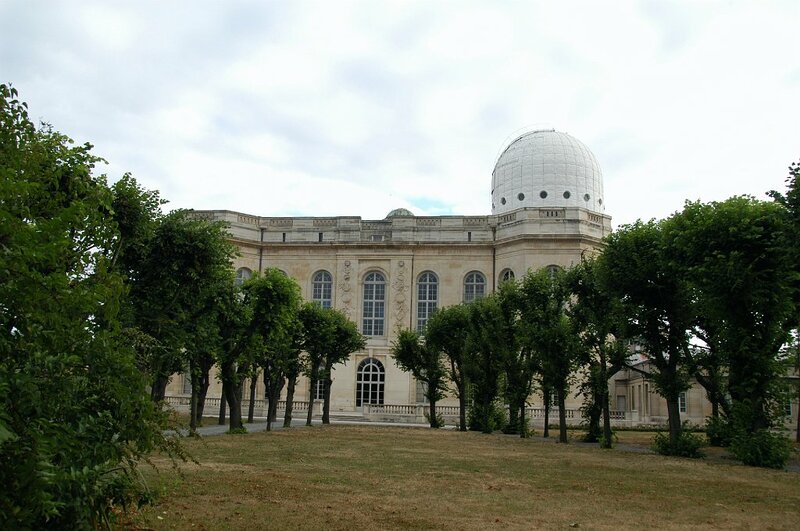 At present the Observatoire de Paris owns three campuses: Paris, the Meudon astrophysics section and the radioastronomy station at Nançay. More than 700 scientists, technicians and administrative staff work there. The Observatory Fountain (1873) by Davioud is known for its decoration of the four quarters of the globe by Carpeaux (Oceania was omitted for symmetry reasons). Before the Closerie des Lilas café stands the statue of Marshal Ney by François Rude (1853). Ney was shot nearby in 1815 for his support of Napoleon. Rodin said that this was the nicest statue in Paris. Inside the Baudelocque Maternity (123, boulevard Port Royal) remain some buildings from the Port Royal abbey. There is the nuns chapel (constructed by Le Pautre, 1646-47), the cloister Bernard were there from 1626 till 1664 when Louis XIV dispersed them due to their jansenist ideas. of Bartholdi's Lion in commemoration of colonel Denfert-Rochereau successful defence of Belfort against the prussians in 1870-71. In 1, Place Denfert-Rochereau there is the entrance of the Paris Catacombs. Several million skeletons are stored inside. The headquarters of the Résistance - F.F.I. (Interior French Forces) of the Ile-de-France commanded by colonel Henri Rol-Tanguy were here, inside the catacombs during the liberation of Paris in August 1944. The elegant and vast hôtel Massa, (38, rue du Faubourg Saint-Jacques) was built in 1784 on the Champs-Elysées at the present location of the Virgin Megastore. The duke of Richelieu, the count Marescalchi and the duke of Massa lived there. In 1928 was moved here. It belongs to the Men of Letters Society. Honoré de Balzac lived from 1829 to 1834 at the house in 6, rue Cassini. He wrote there `Eugénie Grandet', `Le Père Goriot' and may be `La Peau de Chagrin'. You can visit in Paris its classical landmarks Museums as the Louvre, Orsay, Picasso, Rodin, the recently open Museum of “Arts Premiers” and many others. In addition, some outstanding temporary expositions are held at the dates of the meeting. It is convenient to make reservations to visit in advance. Musée du Cinéma, Cinémathèque Française, 51 rue de Bercy, Paris .Tél : 01 71 19 33 33,Tél : 01 71 19 32 01, www.cinematheque.fr .Métro Bercy (lignes 6 et 14), bus 24.
http://www.bnf.fr .Bibliothèque Nationale de France, site F.-Mitterrand Paris 13ème. Metro Quai de la Gare, line 6 and RER C. Bus 89, 62 and 132.